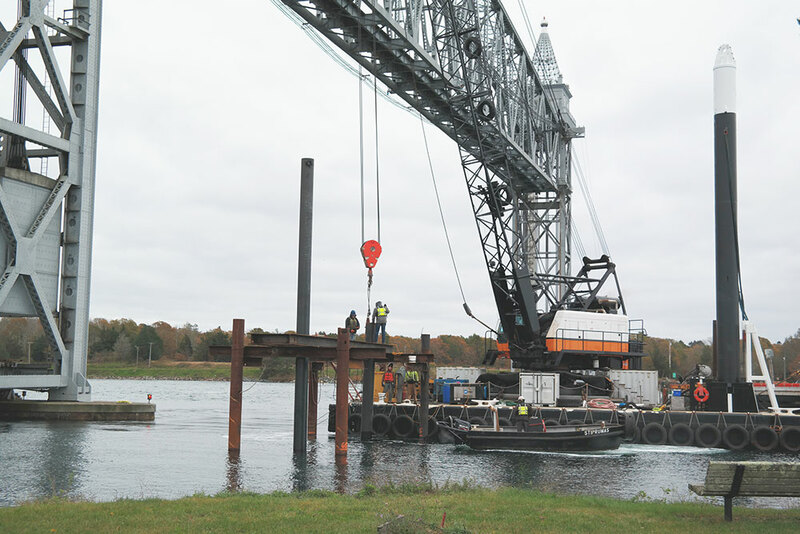 After several environmental studies and review by multiple agencies, the Marine Renewable Energy Collaborative (MRECo) received approval to install a tidal test stand in Bourne, Massachusetts, in the waters of the Cape Cod Canal. The first of its kind in the United States, the Bourne Tidal Test Site (BTTS) will provide designers of tidal turbines and other devices an easily accessible site from which they can test their technology in real-world conditions with water velocities in the range of 4 knots. The BTTS is located on the mainland side of the canal approximately 10 meters from the Cape Cod Canal Railroad Bridge. The US Army Corps of Engineers operates and maintains the railroad bridge, and issued a conditional permit to MRECo for the construction of the test stand. As part of the conditional approval, MRECo was required to monitor vibration during pile driving activities associated with the installation of the test stand. 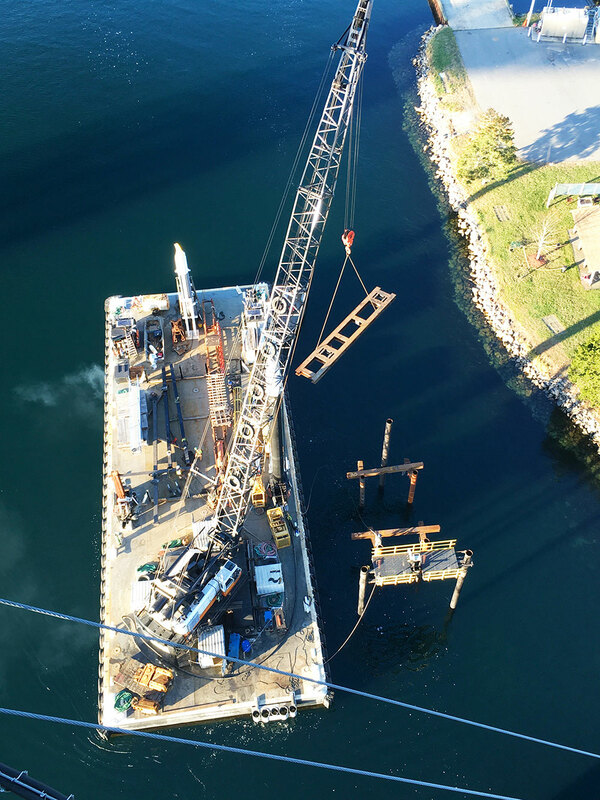 MRECo retained the services of HMMH to monitor vibration levels on the north foundation of the bridge before, during, and after pile driving activities. HMMH installed third-party equipment that continuously monitored vibration levels in three triaxial directions over a period of 11 days. The monitoring system was programmed to issue text and email alerts if vibration levels exceeded a predetermined threshold of 1.0 inches-per-second (peak particle velocity). Actual vibration levels were well below the threshold. HMMH prepared daily summary reports, as well as final documentation of the monitoring program.